'Padyatra' or 'March on Foot'. Over the years and decades, change has been demanded from people to governments, corporations, media and the other person. 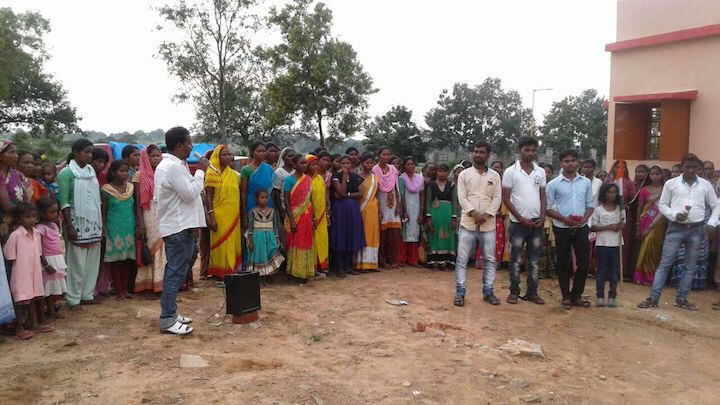 The 'Punarutthan Padyatra' which was recently held in Jamshedpur in the state Jharkhand, India, asked everyone they met along the way one thing, 'Change your country by starting with yourself'. A journey across 12 panchayats (village councils), through three districts, with many villages, covering a total of approximately 350 km. People from all backgrounds and ages were inspired by it. On 15 August, the Indian Independence day, the Walk for Change took its first step with 300 people. 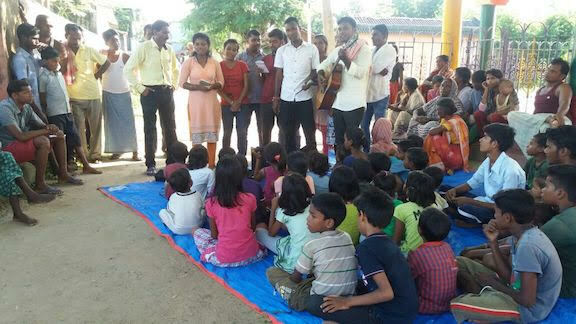 At every panchayat, camps were held for the men, women, school children and youth. This brought together masses of people to the idea of changing the country by starting with oneself. The team made use of skits, songs and personal stories of change to get the idea across to the audience. Most of the interactions were held in the local language so as to create a sense of inclusivity and belonging. The core message was 'Listening to the Inner Voice' which tells each of us who is willing to listen, what he/she must do. Beginning from Nimdi Adardi panchayat and ending at Hurlung panchayat, thousands of people came in touch with the ideas of change. Inspired by what they were hearing and seeing, young people from villages also joined the walk. 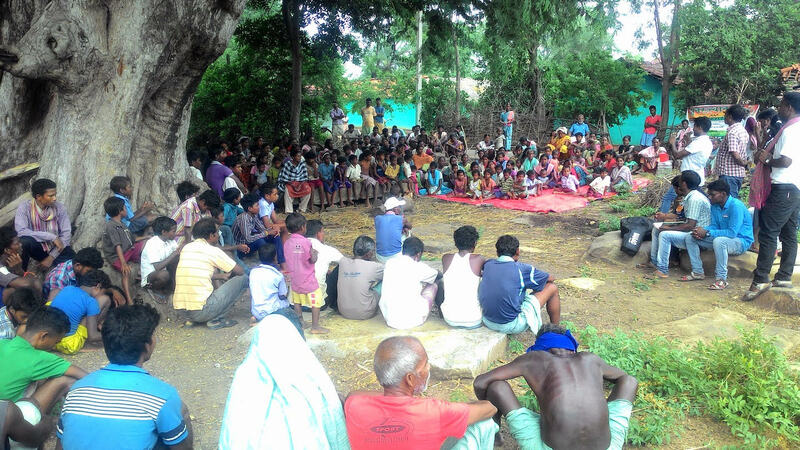 As they walked from panchayat to panchayat, people joined in for different numbers of days. The moving team was around 25 young people. In gatherings with villagers, one shared, 'I have a lot of anger in me, I had yelled at my younger brother once for no reason. Today, he is not with us anymore. I really want to apologies to him and sadly I never will be able to do it. I will write a letter to God and pray for my brother'. Another admitted by sharing, 'I have taken Rs. 1200/- from my father on the pretence that I need to pay my admission fee while the fee was only Rs. 400/-, I used the remaining money to party with friends. I will be honest with my father about my actions'. The yatris (travellers) were welcomed warmly wherever they went. Humble accommodation and nutritious food was provided with much love. In spite of inadequate hygienic lavatory facilities (if any) existed the cogency, passion and drive. The yatris also experienced challenges when no one would turn up at gatherings or due to power cuts the planned featuring of 'Hiware Bazaar', a documentary about an ideal village in Maharashtra, India had to be cancelled. While the villages were being stirred, the yatris themselves were going through an extraordinary journey. An experience unlike ever before for each of them, the challenge of living together, working in harmony, walking the talk and being humble to receive whatever they were being given, is no small feat. The walk concluded on 2 October on Gandhi Jayanti (The birthday of Mahatma Gandhi). Three days prior to this, the team reached its final panchayat, Hurlung. If each one decides to act, to stand up for wrongs outside but also in oneself, change for good is inevitable.